The Pilotwings series returns after fourteen years with Pilotwings Resort, does the series continue to soar or should it have gone the way of Concorde. Fourteen years is a long time for any videogame series to make a comeback, the wait has been agonising, with talks of a sequel stemming back to an announcement by Paradigm at E3 in 1997. Since then Factor 5 have also been linked with the series but no game was ever announced, leave it then to Monster Games who were responsible for reviving the Excite series to finally give us what we’ve been waiting for. 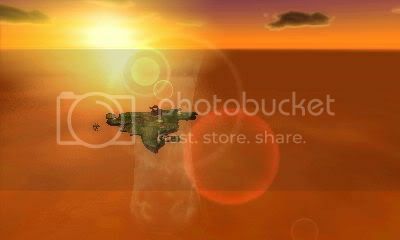 In Pilotwings Resort you are a member of a Flight Club which tasks you with a series of around forty aerial missions. 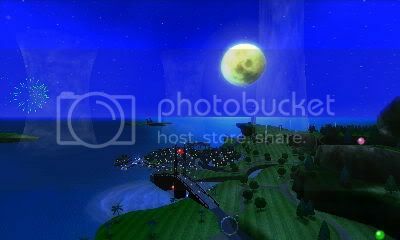 The game also features a timed Free Flight mode which allows you to fly around Wuhu Island at your leisure with no specific mission to complete. There are three initial vehicles which are the Plane, Rocket Belt and Hang Glider with more becoming available as you progress through mission mode. 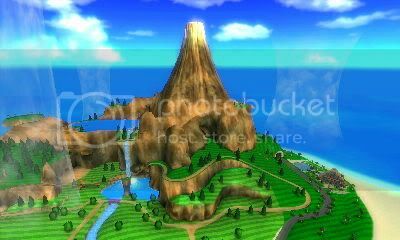 The setting for Pilotwings Resort is Wuhu Island, a tropical resort which appeared in both Wii Fit Plus and Wii Sports Resort. Mission Mode begins with a novice section aimed at easing you into flying each vehicle type and familiarising you with the available mission types. Each mission requires a certain amount of points to get up to three possible stars plus a perfect rating, once you have completed every mission and reached the required point total the next section (Bronze, Silver) will unlock allowing you to progress. While starting off very easy, allowing you to simply pass through a few rings then land, the missions do ramp up in difficulty and getting a three star rating is going to take quite a few attempts. The missions themselves are very fun and only get more so as you progress, while initially simple you will soon be flying through moving rings, shooting balloons strapped to cars and hitting speed limit barriers all under a strict time limit. Old favourites make a return such as taking photos while hang gliding or reaching a certain altitude before landing at a very precise time. New mission types also make an appearance that offer a change from the traditional missions associated with the series and add a bit of humour into proceedings. I personally really enjoyed my time with mission mode, although seemingly light on content the draw to come back and beat my scores or gain that extra star was very strong, in my opinion getting three stars on every mission was well worth it for the unlockable alone. I would have been happy with a few more mission types or maybe even a bit more of the same in order to extend my playtime but at a total of nineteen hours logged so far that may be a bit greedy. Leaderboards would also have been a great addition as once you hit the perfect cap on a level you are then allowed to try and beat that score by finishing in a faster time. 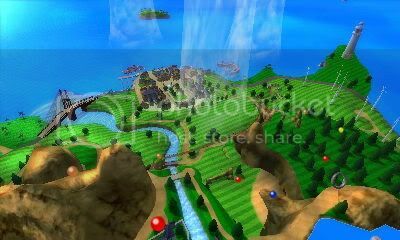 Free Flight mode is an extension of the Air Sports game from Wii Sports Resort allowing you to fly around Wuhu Island under a time limit, collecting location markers that divulge information about certain areas of the map. In addition to this you can also collect balloons that allow more time and vehicle specific collectibles that unlock some cool Dioramas to view from the main menu. 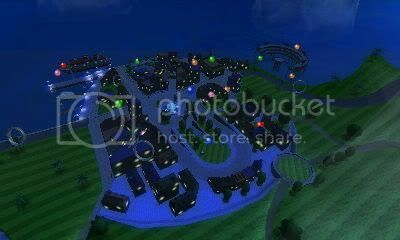 I enjoyed Free Flight mode a lot more than I expected, I found the extra collectibles to be a fun extra to the location information of Wii Sports Resort and some of them were quite difficult to obtain. I can’t say I am happy with the timed aspect of the mode though, I understand that it helps with the high score aspect of the collectibles and makes it a bit harder to collect them all, but it would have been nice once all the balloons were collected to allow infinite time rather than a maximum of five minutes. The real stars here though are the vehicles and Wuhu Island. Wuhu itself has been gorgeously rendered here, draw distances did nothing but astound me and every now and then I just had to take an in game photo as the sights are breath taking, these photos can be transferred to SD card and you can see a few of mine in this review. Initially I was very sceptical of having Wuhu Island as the sole location but after spending nineteen hours there so far in I haven’t once asked for anything more. This must be a testament to the detail, sights and intricacy of the island which has a great deal to see. 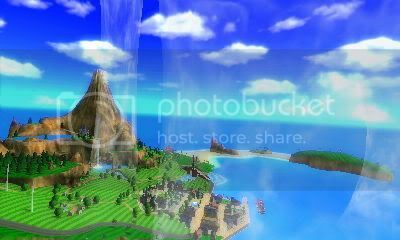 If I have one complaint it that the place falls short of becoming a living, breathing world, seeing Mii’s at the beach, sword fighting at the coliseum or flying around in various vehicles would have done more to bring the island to life. The vehicles themselves are probably the best they have ever been, the plane is perhaps a little too arcade like for my tastes but feels great as an entry level means of flying around the island. The Rocketbelt feels the same as it has in the past but the added benefit of 3D here allows for much better control, especially during landing sequences. Landing the Rocketbelt has always provided a challenge but the 3D here really helps provide a more accurate landing without the need to switch to an overhead camera perspective. I have saved the best for last here though and that is the Hang Glider, I don’t think the Hang Glider has ever felt this amazing to fly in any other game in the series. Hang Gliding around Wuhu Island is such a delightful piece of gameplay that I don’t think I wanted it to end, I have spent hours flying around taking photos of various locations during Day, Evening and Night and it hasn’t gotten old yet. The feeling is so relaxing yet you are kept on your toes needing to catch thermals wherever possible in order to maintain altitude. I would have liked a bit more vehicle variety, the extra vehicle unlocks offer little in terms of variety and it would have been nice to see the return of the cannon, Jumble Hopper and Birdman. Some bonus levels would have also been nice. Audio also deserves a special mention here as the soundtrack is brilliant in my opinion, I have always enjoyed the catchy, jazzy songs used in the Pilotwings series but here the songs are amazing, adding a few new tracks while creating some really great remixes of old favourites. The 3D aspect of the game really helps this game both in terms of gameplay and aesthetic value. It’s hard to argue that the game doesn’t look great in 3D and turning 3D off really made me feel like I was missing out. Maybe it was because it was my first 3D title but it did take some getting used to, having the 3D on high made me feel a little nauseous but that depth slider has slowly been creeping up and I now have it on near maximum most of the time. The gameplay is helped by turning the 3D on too, I have mentioned above that the Rocketbelt benefited in terms of landings but trying to fly through rings or collect capsules is certainly easier with 3D turned on. 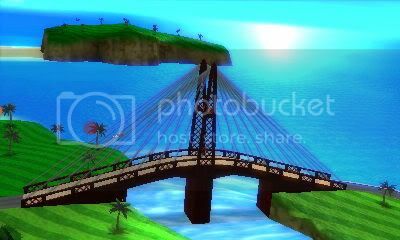 All in all Pilotwings Resort is a great return to the series and is one of my favourite games in recent memory. There are some omissions which can’t really be ignored but so much is done right here that it is also easy to forgive them. If you can only buy one launch title for the 3DS I would without a doubt recommend this one, it may be a bit short for people who don’t like to replay for high scores but there is plenty here to keep newcomers and fans of the series happy. I am also surprised by how much I'm enjoying Free Flight mode. 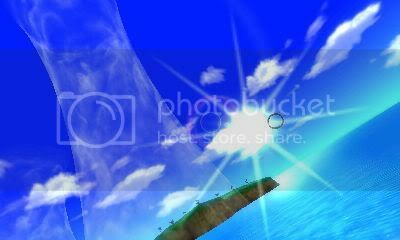 Flying through Wuhu Island in first-person mode in 3D is one of the most surreal experiences I've had in a game. 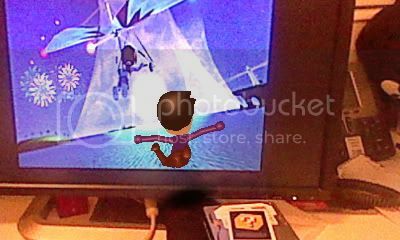 Without the little Mii dangling in front of you, you really feel like you're there. I have barely scratched the surface of this game but I couldn't be happier with my purchase. Pilotwings Resort is the title I bought at launch, mostly out of obligation rather than thinking it looked like it was worth owning. And I've mostly been neglecting it for other games that I rented so that I could send those back to GameFly for new ones (and then the process repeats! ), but I have made it to the gold missions in the few hours I put it. I get the feeling that I'll really enjoy the rest of the game once I can come back to it in earnest. I love that you can take pictures with the camera and save them to the SD card: the ability to take screenshots at any time would be an awesome regular feature for the system. Did you see 'Fight' instead of 'Flight as well? Love that first pic. Great review! I will dig into the game more once I get rid of Raymon. My game rankings really need a major overhaul now I am actually reviewing games. I think I will remove them all pretty soon. Thanks for the feedback everyone. So if we have a sequel to Pilotwings Resort what would you all like it to include? I would love to see the return of the Cannon, Jumble Hopper and Birdman but I would like to think Monster Game could come up with something a bit crazy. How about some multiplayer modes? I would love to see a cooperative mode where you and a friend could just fly around possibly gathering a co-op exclusive collectible, with possibly a bit of dogfighting for good measure. I would love to see some of the craziness to Excitebots too, how about pie throwing at clown faces rather than shooting missiles? or trying to reach a certain speed and angle to knock down some bowling pins? I have a hard time imagining a Pilotwings game with the wackiness of Excitebots. Hell, I have a hard time imagining a racing game with the wackiness of Excitebots, and yet I've played it! I'm just not sure I like the idea. 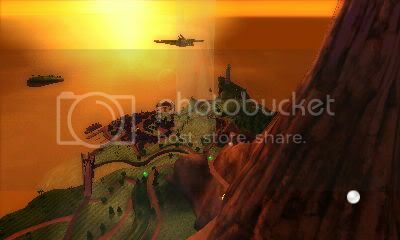 As for what I want to see in Pilotwings, well, my experience with the series is limited, and I'm only up to the silver missions in resort so far, so I don't know what's even been done before. I definitely want to see the cannon missions back. 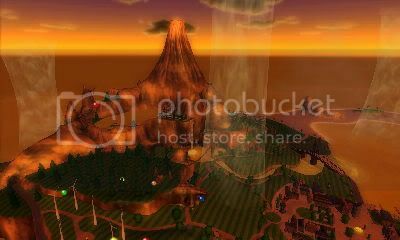 The free-fall minigame in Wii Sports Resort was great (and I think they were good in the N64 game, right? ), so I'd like to see those return. I wouldn't mind more varied and extreme weather. How about missions in blizzards or raging seas? I think as long as its kept to bonus missions and extra modes then its fine. They have gone quite strange in the past. I'm having a lot of fun with this game. It might be "light" on content but I'm only halfway through and already put a good 5 hours or so into it. If you burn through it yeah, you'll be done in a few hours. If you try to 3 star everything though... it's a much longer game, and I imagine trying to "perfect" every mission extend the life even more (I'm just going for 3 stars now.) And it's definitely the type of game that lends itself to replaying missions for higher scores. Speaking of, does anyone else feel like the "time" element is scored a bit odd? I often go straight through missions quickly, get near full points for everything else, and then get a 0 for time. It's pretty unforgiving. The negatives? Well, the sole location for missions is a bit disappointing, as is the lack of much variety in weather. And there are some weird ghosting issues in dark areas (the caves.) Or, even when it's my own fault, it's the type of game where you can really, really F yourself quickly because you tilted too far, things ghosted, and you missed a key ring or something. I also feel like, so far, a lot of the missions feel kind of linear, whereas some of the missions in older Pilotwings games were a bit more open-ended. But maybe this changes in later missions. Still, pretty happy with the game. For a launch game, it works. Not sure yet what I'm going to rate this game, but I'm liking it. Its also worth checking the activity log rather than the member card as that time doesn't include restarts. Yeah that is how I always base my game times. Albeit often I start up a game and walk out on it a bit so my "playtime" includes a bunch of time I'm you know... eating sandwiches and such. On Wii anyway. I guess on 3DS I tend to close it and put it into sleep mode if I'm taking a short break, and I don't think it calculates sleep mode as playtime? It better not or my stats will be all messed up, I almost never turned my DS off, it just went into sleep mode all the time. It doesnt include games that are suspended or when the system is closed. You know, warerare, I wouldn't question your expertise on the subject, but I really think the key to perfect landings with the plane is stopping under the shadow of that boat thingie. I really do. Seems to me that when I don't quite reach it, or overshoot it, that's when I get a 29/30 or less. You are right, since you said on the podcast I have been doing that and its worked out fine. I think the fact that I have played the previous Pilotwings games so much has hindered me here as usually its all about landing on the centre line. I kind of suspected the bridge meant something. Makes sense, if you think about it. When you land a seaplane you want to land so that you can hop off onto the bridge and not, you know... have to swim to it. I never really thought about it like that, I suppose its perfectly logical. Thanks for the review@warerare . This game gets so difficult when you reach the Silver levels. Getting more than one star requires a lot of precise flying. It's a cool game, though.